Thanks for entering our misterb&b giveaway – Good luck! 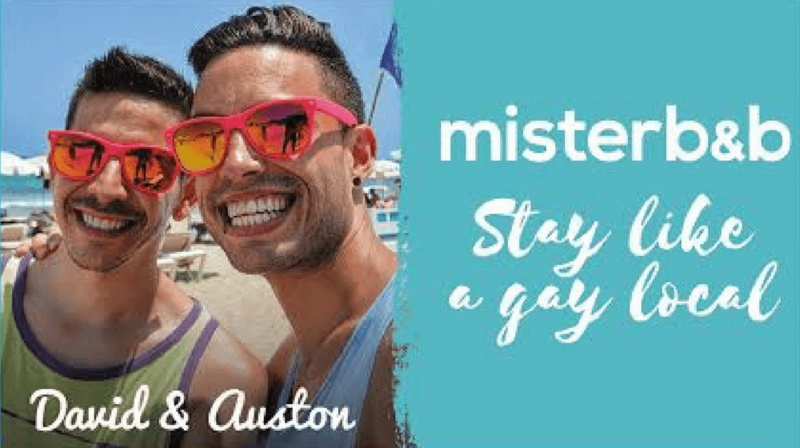 Heard of misterb&b? New users can earn $10 by signing up below! We’ve been using misterb&b now for about 2 years and it’s a great option for renting affordable places in cities around the world. It’s similar to AirBnB except you’re guaranteed to have a gay or gay friendly host. No awkward encounters when traveling with your partner or boyfriend and almost all tend to be gay themselves and can help you navigate a city’s gay scene. misterb&b is a great option to rent a whole apartment or a private room in a shared apartment so it’s perfect for all budgets. They currently have hosts in more than 135 countries with more than 80,000 total listings. You can even list your own room or apartment to earn cash from gay travelers in your city. Special Offer! Sign up now and get your free $10 credit to use on your first booking!